I can not wait to get away with the boys in the May half term, being back at work makes me really appreciate our holiday time. We are also hoping to arrange a villa holiday later in the year. 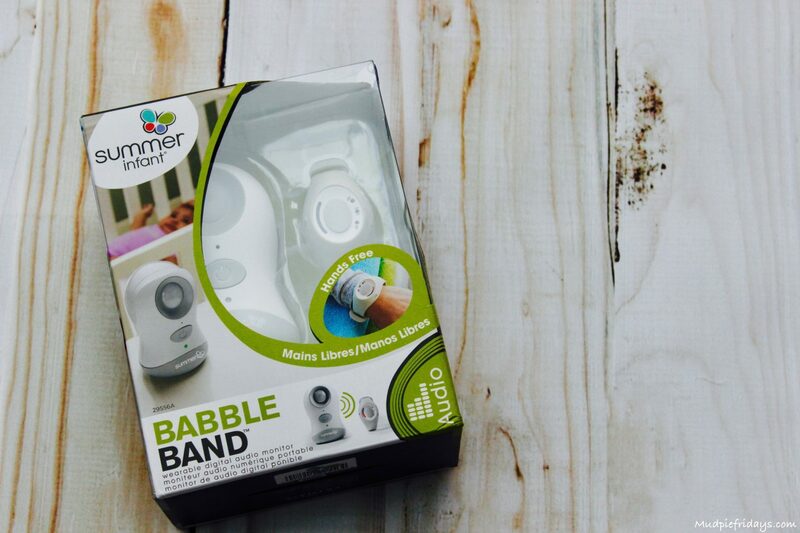 When we were sent Summer Infant Babble Band Monitor to review I could see how it would work perfectly in these scenarios. What I didn’t count on was the convenience it gave me when I was at home. Before I went back to work one of the things I needed to do while I was on maternity leave was to get Kipper use to having his naps in his cot. As they have small cots in the nursery for the young babies and I wanted to try and make the process as smooth as possible. 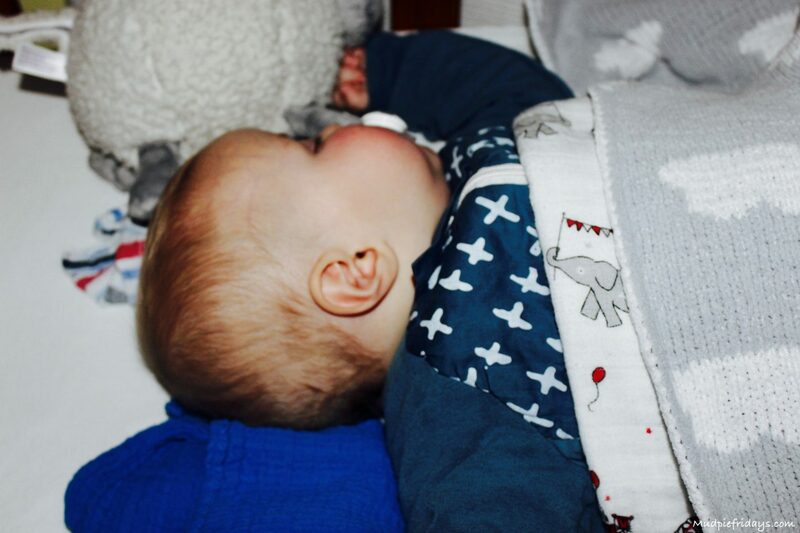 It was going to be a challenge for both me and him, especially as he was use to falling asleep wherever he decided. They always say your routine just happens with the second. 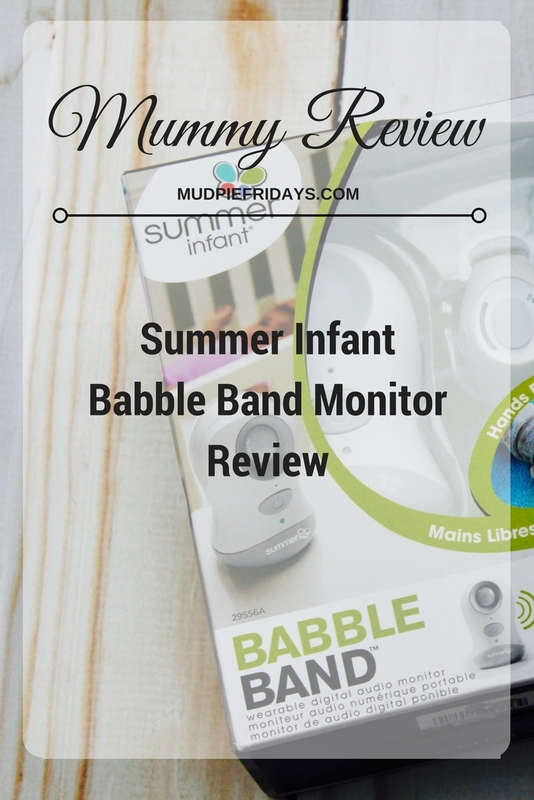 What made the whole process easier was this brilliant Babble Band Monitor from Summer Infant. 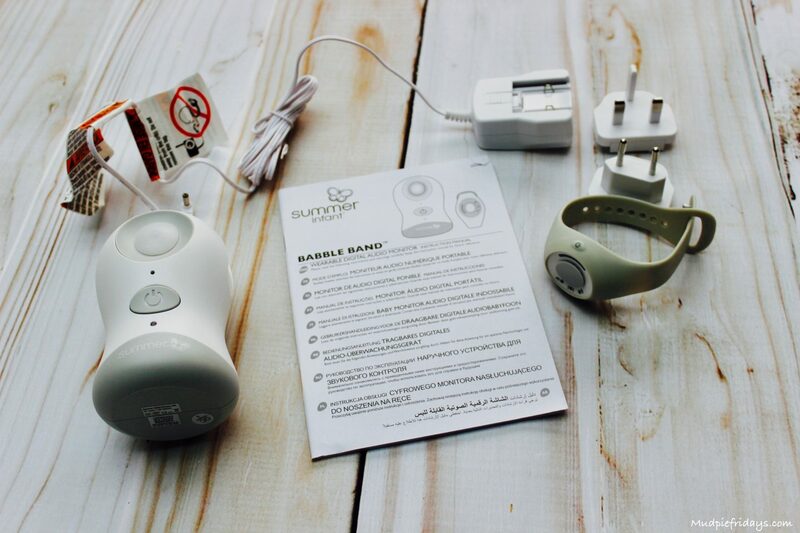 Babble Band is the first ever wearable digital audio baby monitor, which was launched in June 2016. Although we have a static monitor with a clip on the back its can be difficult to carry around. I normally hook it in my back pocket and often end up sitting on it. Also we have a reasonably long garden, it goes out of range very quickly which means I can not get everything done that I want to. Instead I tend to have to keep going to check the monitor which kind of defeats the object of having one. So I guess I was interested to see if this new monitor would solve my problems like it claimed. 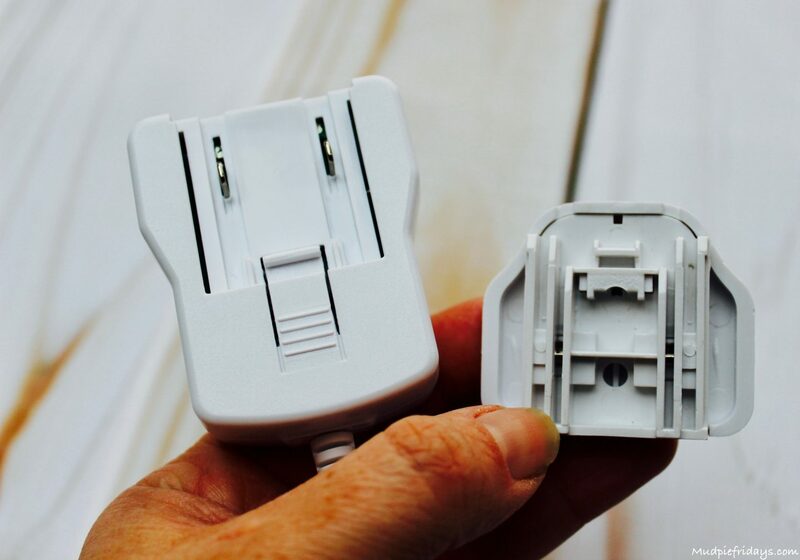 There really is no assembly required, you just attach the mains adapter to the back of the power pack, charge up the band by placing it on top and you are ready to go. I do like the fact that they have included a two pin adapter should you wish to use it while travelling. On the front under the on switch there is a little LED light which goes green when it is fully charged and red while it is charging. The wrist band has a low battery alert. Initially I started using around the house while Kipper was sleeping outside of his cot as long as there was a plush socket nearby. It gave me all the freedom I needed to move around the rest of the house getting on with the things I wanted to do. Evening hanging out the washing. I would say mowing the lawn but that does tend to be one of Hubby’s jobs. I wonder how he will feel when he realises he can not use the baby as an excuse not to do it anymore, especially as it has a range of up to 800ft or 240m. 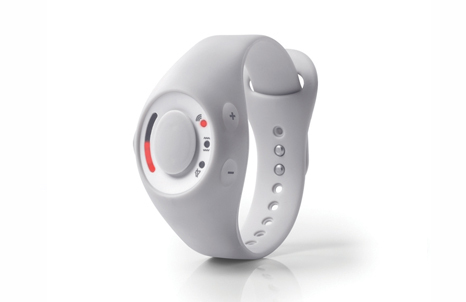 The band will alert you if you go out of range. The lights on the wrist band let me know when he is stirring and if I am very lucky I can get to him and put his dummy in before he wakes fully and prolong his nap time. Quite often I would not hear our other monitor straight away and so miss that chance. 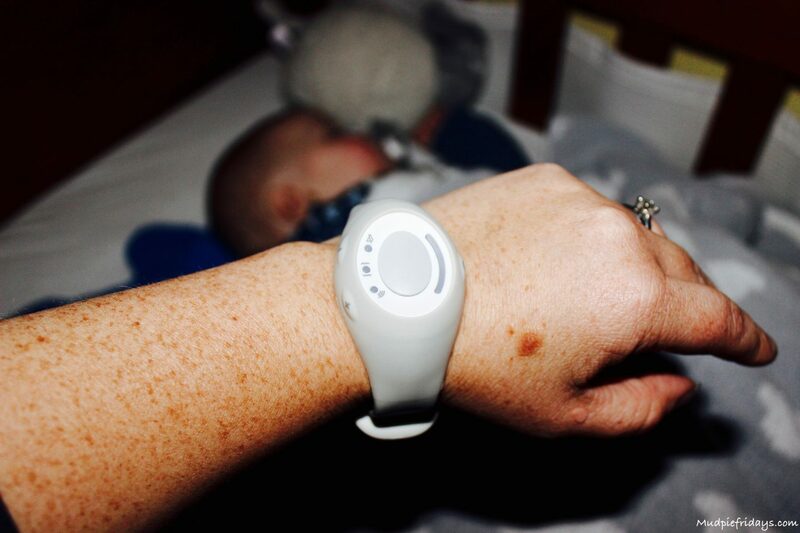 Now Kipper naps in his cot I use the Babble Band during the day and our old conventional monitor at night time. The only reason I do not use the Babble Band at night is because his other monitor comes with the mat that goes under the mattress. During the day I can run around getting things done with just a quick glance at the wrist band. If I am hoovering the fact that it also vibrates is a real bonus. In fact it has three monitoring modes. These are audio with volume control, lights only and vibration. I can see us using this a lot when we go and visit friends as well. Its always been too much of am effort to take our traditional monitor, with this we can put Kipper down to sleep in a different room, rather than having him sleep in the buggy with us. My only regret is that this was not available when Monkey was small. I have some other giveaways running at the moment so please check them out by searching for giveaway in the search box above. Good Luck!! What a great idea. 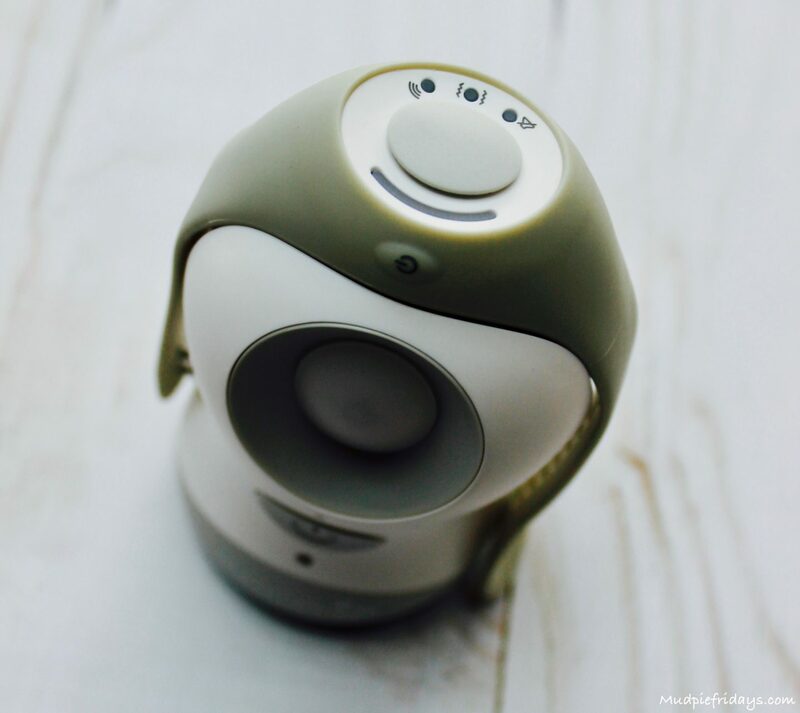 I love the fact it is vibrates and is wearable – perfect for taking on holiday with you too. We often stay in the room whilst away but this means we could sit on a balcony or elsewhere if a villa and be reassured that all is ok! An excellent review and giveaway. Thanks so much. I would love to win this for my 5 month old son 🙂 fingers tightly crossed! Excellent review! I like reviews by real people! This sounds brilliant – the range is fantastic. I like the idea of having a vibration setting too as its ideal for any parents who have hearing problems. Poor hubby though losing his excuse for mowing the lawn lol! What an intuitive and well thought out device. This really is a monitor for the 21st century – so great to see something like this on the market off to enter now. Never seen this before, what a great idea! Ah this looks fab! Certainly puts minds at ease. I was expecting it to be much more expensive than that – that’s great value for money! I really like the idea of it – wish we had one as I am forever losing our monitor!! Great prize. Children are so precious, we are eager to keep them safe. Yet rest and sleep is important for baby and adults. What a great idea! Technology comes on so quickly doesn’t it. This would be so handy and it was a very informative review. Wow! Fabulous bundle…. would love to win for my 4 month old daughter ???? Great giveaway – Fingers crossed. 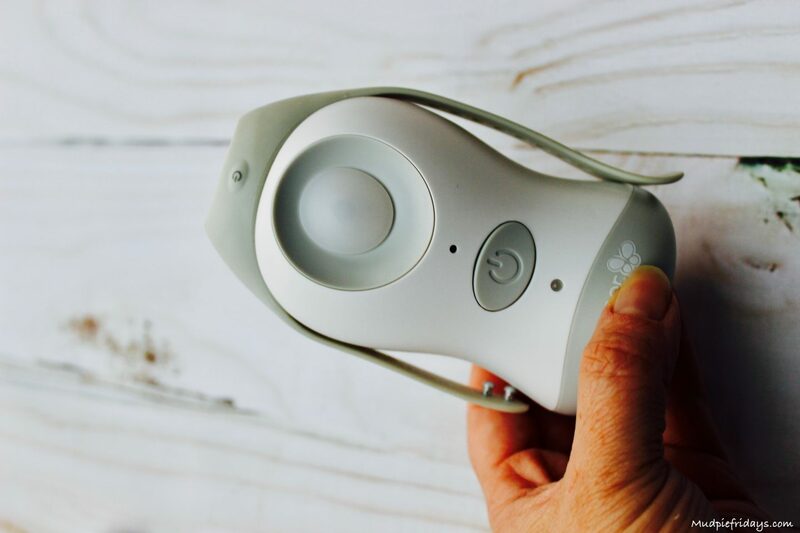 These are amazing ,love that it also vibrates ,as I don’t have the best hearing .This would be perfperfect for when our Daughter leaves the baby with us .Great giveaway thank you. great idea! very useful indeed! This would be really useful for new arrival, Amelia Sophia. This looks really useful, it would be a great help to me and put my mind at rest. My cousin had a baby girl just over a week ago. Due to some complications she is still in hospital. 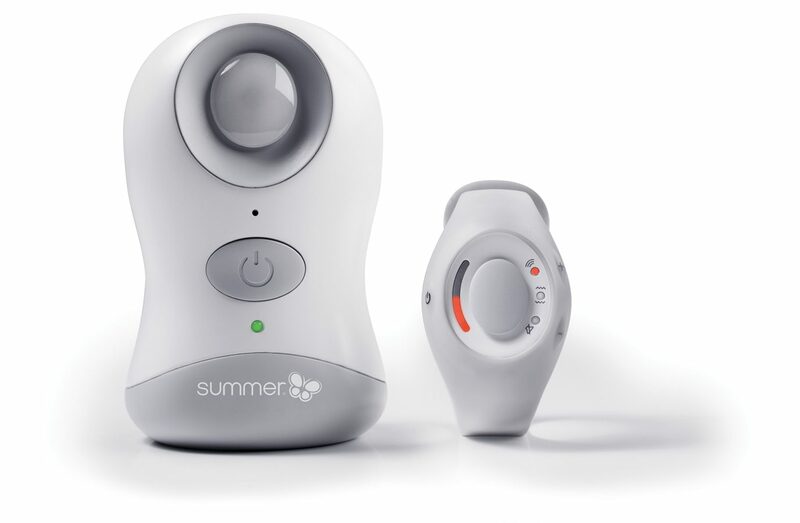 This baby monitor would be fantastic for her when she comes home. Fab! With number 3 due in 8 days this would come in handy! What a brilliant idea! So versatile and it’s great that it vibrates! Fantastic! This would be so lovely for my sister, she hates just being confined to one room with baby because she has lots of things she needs to do in the home and this would help her lots! Fabulous review! Amazing how much technology has come on. Great for worried parents. It looks amazing and such a good idea with the wrist band. Very clever! Oh my days I would absolutely love to win this for my new mummy friend, who gave birth to the gorgeous Felix three weeks ago. He is adorable and is a real sleepyhead. So this would be perfect for her. Thank you for this amazing competition. I must say this is a fantastic review. I for one never knew these existed these are so fantastic!! Fantastic give away too. I would love to find out if the range of this is as advertised. If it is, then this would be easily recommended. Thanks for the great prize and competition.